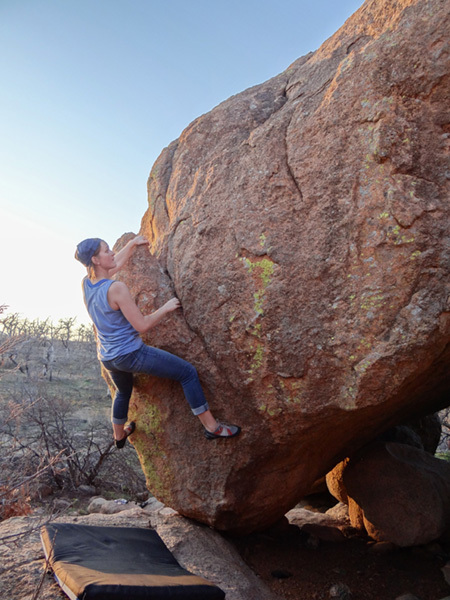 Before each rock-climb, Lindsey Carlson plans out her route to the top. 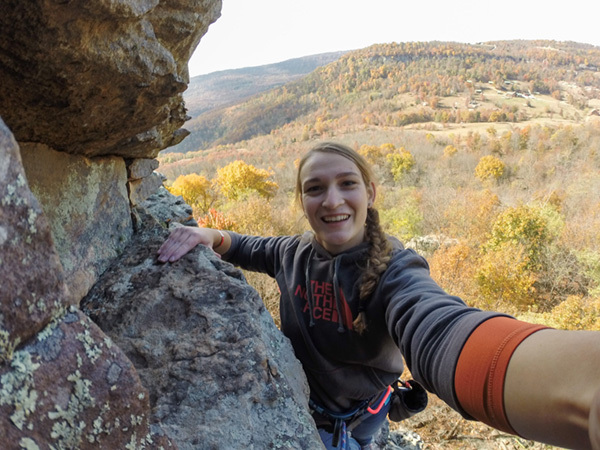 Though it’s not an exact science, having an outline of her route has helped her successfully scale rock formations all over the Midwest. The mental challenge manifests itself before each climb and continues until it’s complete. The combination of mental and physical challenges is not the only draw to the sport for Carlson. Carlson is also a tutor in the Writing Center and works in the Laboratory for Information Technology Evaluation (LITE). Through hands-on experience in the lab, Carlson is beginning the climb toward her ultimate goal: influencing the experience a user has with a website or program by designing the spaces where user interaction and machine meet. 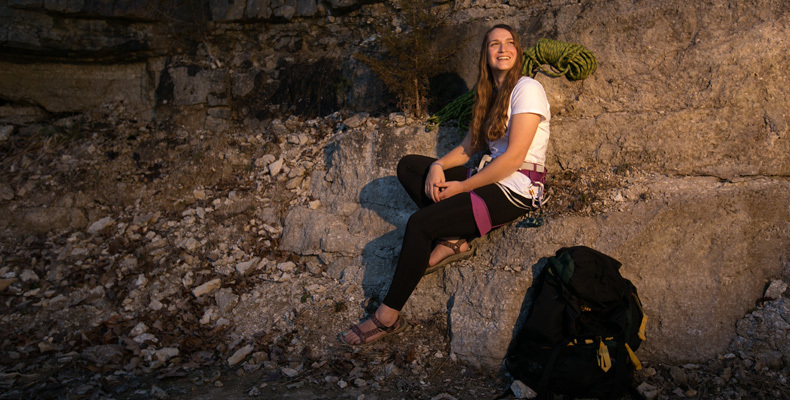 Just like a climb, Carlson has planned her career path. And she’s not looking down.